The new-year camp was held from Friday, 4 January to Saturday, 5 January at the familiar venue of Tokyo Sports & Culture Hall (BumB) in Shin-kiba. Day 1 was started by Mr Oyake Shunta’s practice report in Session 1. As a young teacher, Mr Oyake reported on his creative lessons in social studies. In Session 2 that followed, Prof. Miyazaki, who moved to Hirosaki University this school year, talked about his ambitious lessons for students of the teacher-training course. Participants reflected on the history of the SAOL and discussed its future by reviewing the society’s achievements, exchanging impressions of Vol. 4 of its serial books, explaining plans for research and publication, and reporting on the status quo regarding ‘active learning’ at the schools of the participants. On the following day of the 5th of January, participants visited the Sumida Hokusai Museum. To begin with, a lecture was given by the curator Ms Koto in the lecture hall, which was followed by an hour’s tour of the exhibits. There was a Q and A session at the end. Then the participants went back to BumB to prepare for physical group presentations. 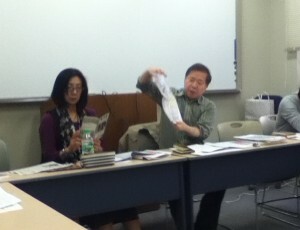 In the presence of the director Mr Hashimoto and the curator Ms Koto, the following four group presentations were given. This entry was posted in 未分類 on 20/01/2019 by adminmaster@kakutokuken. The April regular meeting was held on 25 April marking the beginning of our fourth term. 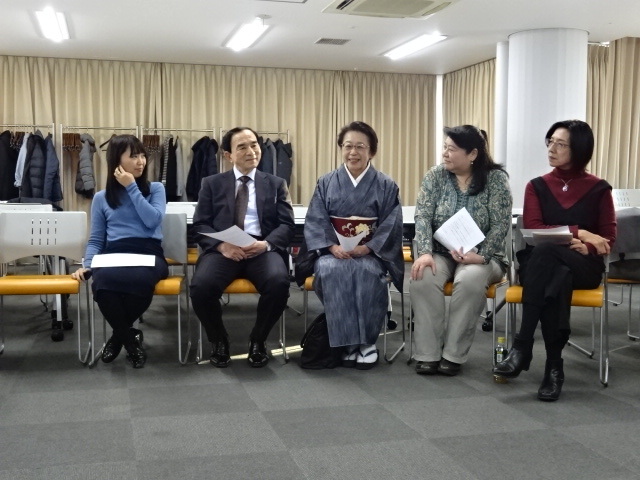 In the meeting, the annual plan for the SY 2015, review of our spring seminar last month, and a presentation by Mr Miyazaki (Toho Elementary School) were the main topics. With drafts for our third book almost ready, the SAOL will put emphasis on promotion. In June, members will observe open lessons at Seikei Elementary School in June which commemorate their 100the anniversary. In July, the SAOL will host an open symposium with scholars from the UK and Hiroshima as part of our collaborative research. 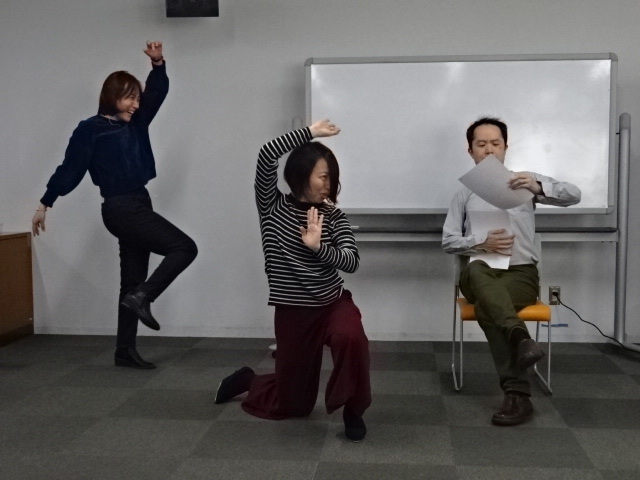 In August, members will visit Okinawa to have a presentation festival with local teachers interested in peace education. Another presentation festival for high school students will be held in November in Tokyo. In January 2016, the SAOL will hit the road for Tokushima on the Akariza tour. The annual spring seminar will be held in March. 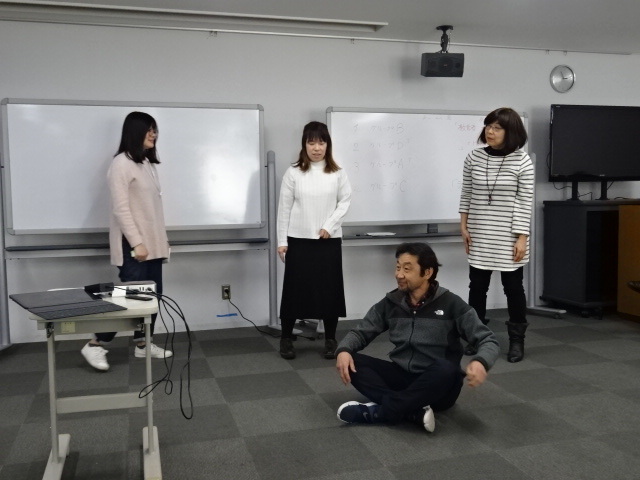 In the part for review of the last spring seminar, participants exchanged ideas on the effects of room size to group dynamics, assessment in AO lessons, etc. Finally, Mr Miyazaki supplemented what he did not cover in his presentation in the symposium at the last spring seminar. The status quo of the SAOL’s second purpose. This entry was posted in 未分類 on 26/04/2015 by staff.